Elizabeth Olsen looks absolutely gorgeous in Elle Canada’s latest spread with a mix of this season’s best textured and ruffled dresses. WHY ARE YOU SO HOT AND PRETTY AND PERFECT? Life Goal # 14: Ride on a helicopter. I have no idea how this will ever happen since helicopters are more often used for military and/ or medical reasons, and I don’t think either of those appeals to me, but I still want to experience it at least once. After a couple of hours of internal debate, I allowed myself to go see my third cinema movie this month. I actually only realized that it was my third time this month while Jhay and I were on our way to our seats! This once again proves my belief that everything that happens twice, will happen a third time nmw. Anyway, Jhay and I met up to go to CRIBS and spend some QT with the babies who are all growing up so fast I can’t even. I’m planning to go there later this afternoon, but we’ll see if the weather, which is very influential to my mood, allows. After CRIBS, we decided to go see the new X-Men movie. Pami was invited but she said she’s busy with school and work duties, unfortunately. Now before I go to my review of the movie, let me just write this down: I have messed up my work-out habit and I am so sorry future self. I think my body got really hungry after a month of restricting myself, even if I didn’t really plan to be restrictive in the first place. I’m still going to carve out time to exercise, but I think I’ll have to restart it tomorrow (Saturday) and maybe look for more fun activities that will require me to move. First of, I have to be honest that even though I grew up watching X-Men cartoons, in the recent years, I’ve grown more fascinated by the Avengers. It’s probably because the Avengers movies and TV show (for a time) were interconnected and made a neat timeline of continuous story-telling and development. Also, these programs are real action-packed movies, complete with epic stunts and fight choreography that you/ I just can’t not watch. Now, I like X-Men. I even loved the last one (Days of Future Past) and how the timeline circled back nicely to the first. X-Men: Age of Apocalypse continues on where DFP left of, and featured some good to great moments between the much – loved characters such as when Professor X gushing over Moira MacTaggert with Hank McCoy being amused or when Hank and Raven meet again and note that neither of them stayed blue and then Kurt i.e. Nightcrawler pops in and says he’s blue, or when Quicksilver saved the students when Havoc accidentally blows the school up. That last one was definitely a highlight of the movie. 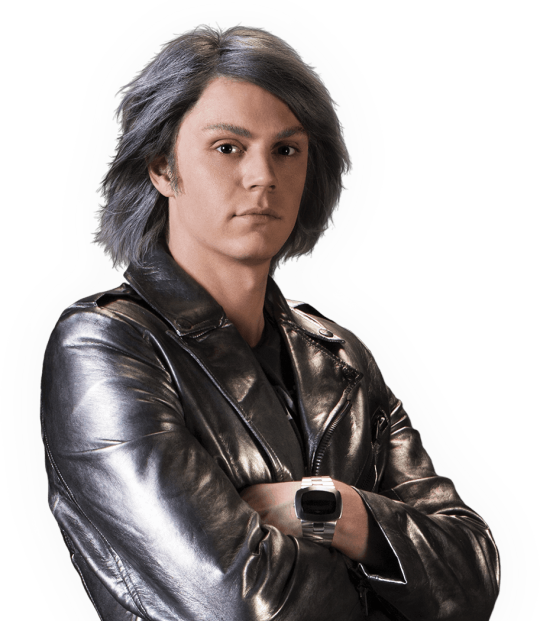 I love Evan Peters in AHS but that wig is just awful. As for the rest, well, I really thought and hoped they were just building up to the big fight. I understand that Professor X and Magneto’s powers are mental and metal manipulation, which basically keeps them from doing hand to hand combat, but then, they had all these new characters in, and I feel like they weren’t all able to shine. Archangel/ Angel dying just like that was a fail for me. I was really looking forward to getting to know him more. Ororo was okay; I liked that she finally jumped in at the very end, and helped the X-Men defeat Apocalypse. Still, even that scene felt forced. I understand Jean Grey/ Phoenix is a very powerful mutant, but I was still waiting for some more physical scenes. As it is, I couldn’t help but picture how they made the movie, in harnesses and green screens. Frankly speaking, this movie got boring real fast. 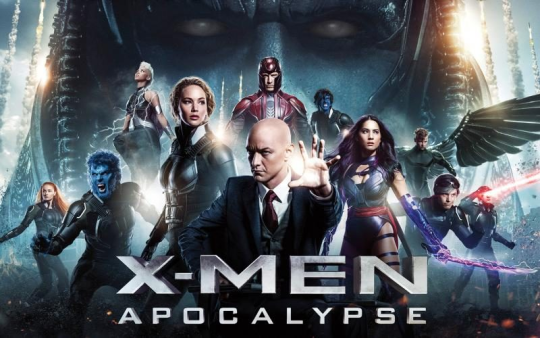 For a film that has Apocalypse in it’s title, it didn’t have a lot of apocalyptic scenes, at least one that felt real. The only apocalyptic moment would have to be when Erik’s family were killed with one arrow, but it was done so early on in the film, the audience hasn’t gotten to know them to care enough, plus we all know Magneto goes bad, so you really can’t feel bad for him for long. I’d really like to say the visual effects were awesome, because they were, but still, I find them messy, all-over the place and excessive. The part where Magneto destroys the Auschwitz interment camp made sense in a way; but for the rest, all the brown stuff flying made me feel a little sick. I also didn’t understand the point of Moira MacTaggert. Her reactions were ridiculous, even for a CIA agent working on/ with mutants. I love Rose Byrne but this wasn’t her best. Now, the character of Jubilee was not even introduced AT ALL, so I don’t know why she was even there. I was hoping to see Channing Tatum’s Gambit, since I googled the cast and it included him, but he was, sadly, a no-show. Wolverine was there, though. I remember feeling really weirded out with that scene between him, young Jean Gray and young Scott Summers, knowing how messed up their love triangle would get. Speaking of Cyclops, I was really hoping they’d give him some backbone this time around. At least in the cartoons, it made a lot of sense that Scott was the leader of the X-Men. In this one, it still felt like he was one of the core characters we can do without. One last thing I want to b*tch about would be that post-credits scene: WTF! I know I can be classified as a bandwagoner fan, since I didn’t read the comics and I’m just really watching all these movies now because they’re popular right now, but still. Where was Channing Tatum? What the hell is Essex Corp? Why did I have to wait that long (because it felt really long) to see something that absolutely made no sense to me? I don’t know if others feel the same way as I do. I’m bound to read and watch reactions and feedbacks in the days to come, and we’ll see. I also got to watch Captain America: Civil War last week, as a treat for mom’s day. It’s not my favorite MCU movie, mostly because they didn’t tie it up with the events happening in Marvel’s Agents of Shield which, I have to say, is even more exciting than what was happening between Captain America and Iron Man. Still, seeing the other familiar characters (yay, Spidey!) and pretty much relating to their predicament (on whether great power requires great oversight or not), added to the really awesome fight scenes and equally good acting (I love Elizabeth Olsen’s Scarlet Witch! ), was more enjoyable to watch. 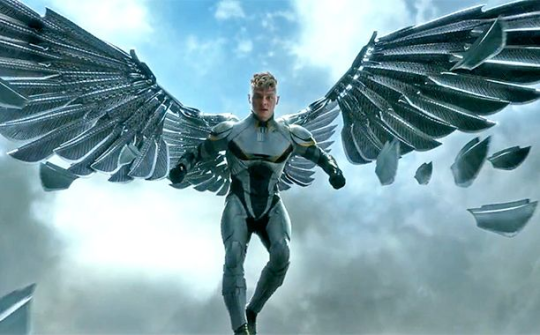 I don’t regret going to see X-Men, but I honestly, I think I need some break from all these superhero action. I think I’ll go work on my novel idea for a while. I think she’s my new favorite Marvel hero, even if they haven’t really explored her character. I’m Team Iron Man btw, but I still love her. P.S. Rogue’s still my #1 fave. Life Goal # 13: Sing on stage in public. As a rule, I don’t sing in public. But if I can pull it off, I would probably sing Eponine’s “On My Own” from Les Miserables. The last time I sang in public was as a kid, during fiesta, when I was urged to give a rendition of my childhood themesong, Whitney Houston’s “Greatest Love of All”. The crowd was speechless once I was done. As in, it was absolute silence. I was too young to realize why, but that quickly ended my future career of singing in public. I choose this Lea Salonga performance because I really relate to this song, and her performance hits the feels right in the bull’s eye. But singing is a learned skill, so maybe there’s hope for me yet. I hope. This is a really old video taken in Mall of Asia back in 2009. It’s a Jollibee-sponsored flash mob dance performance, and I wish I got to be part of it so much I am literally crying. Not even kidding. For as long as I can remember, I’ve wanted to participate in a flash mob dance, preferably as a form of surprise for someone important. I’m hoping one day, (like when one of my cousins gets proposed to or one of them decides to propose to someone), I may be able to suggest this. Who knows, maybe I’ll get to propose to someone through one? That’ll be something. This particular goal ties in nicely with my dream vehicle: a Wrangler Jeep, in deep moss green/ military green, with pink and black interiors. It’s the least type of vehicle I would see myself coming off from, but I want it. I want it badly. I don’t even know the specs or whatever you call it, but it’s the first and only vehicle that made my heart go a-flutter when I saw one up close. Up close, meaning, I was on a public utility jeepney (the most common type of commuter vehicle in the country) and I saw it. I wanted to jump off and follow it, but of course I didn’t. I wasn’t that crazy. But I still really want it. I love that’s it’s a four-wheeler SUV that can go off-tracks, meaning I can use it for road trips to mountains and forests and all that. I want that. I really, really do. Life Goal # 10: Get my Masters Degree. This year marks my 7th year in the teaching profession, minus the three months I took off from the academe back in 2013. Thinking back, I really wished my younger self had a clearer foresight about what we would want by this time in our lives, but as I have written a couple of times before, I didn’t really have any idea what comes after graduating and getting my teaching license. I didn’t know if I’ll meet someone, fall in love, get married, have a family. I didn’t know if I’ll pursue teaching and further my knowledge by getting my Masters and/ or getting another degree (Economics or Law were very appealing). I didn’t know if I’ll get a job in a school, get so contented in the familiarity of the system and scare the sh*t out of me. I didn’t know if I’ll end up an ‘old maid’, so used to being on her own, that the idea of having to consult another person about how I am to spend my time just boggles my mind. I didn’t know what I wanted. I didn’t know a lot. Then. But now, with a couple of years of experience, I think I have some idea. I want to get my MA before I turn 30. I want to get it from my dream school, the Ateneo. I want to take MA Language and Literature Teaching, non – thesis track. Most importantly, I want to send myself to school, from my own hard-earned money. Which is why my stint in MIIS is not just a pause for something bigger or better. I am taking this seriously. I want this one to last, for as long as possible. Hopefully, I’ll finally get regularized here. Scratch that: I am aiming to get regularized here, not just because I am getting tired of the application process (the Standardized Assessment Test for Teachers have become too easy, even the Math parts) but also and mostly because I really think I can flourish here, if I let myself. And when/ as I do, I plan to pursue my Masters degree and after a couple of years, get to proclaim that I am not just a Tiger from UST but also a true blue Atenean Eagle. That’s the dream. And one day, it’ll be a reality. I am so torn between my girl crush on her, my shipper’s kilig of her and Chris Evan’s chemistry, and my crush on Sebastian Stan. It’s times like this you just can’t put attraction based on gender in a box.